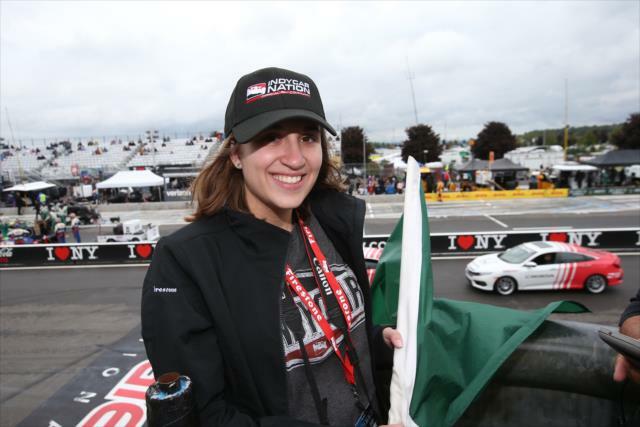 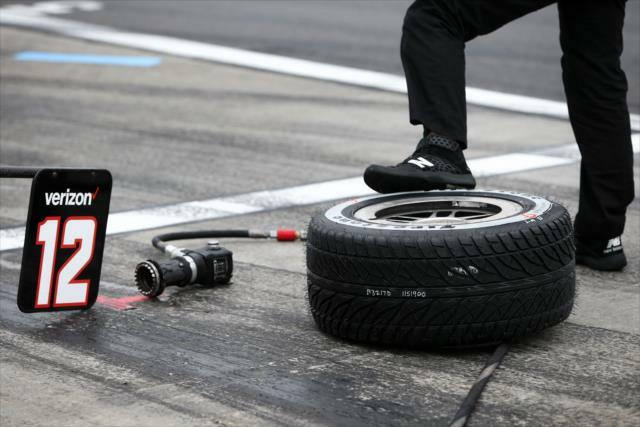 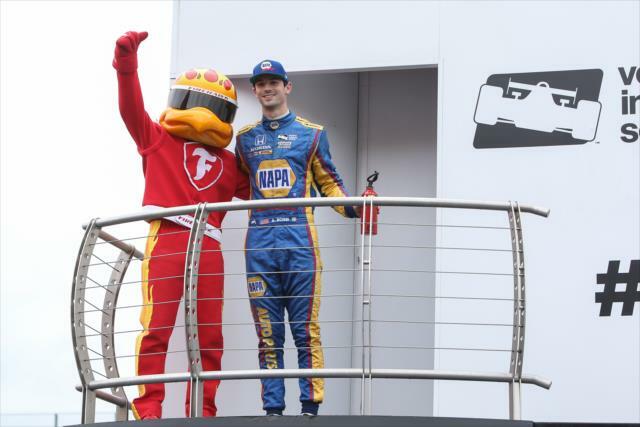 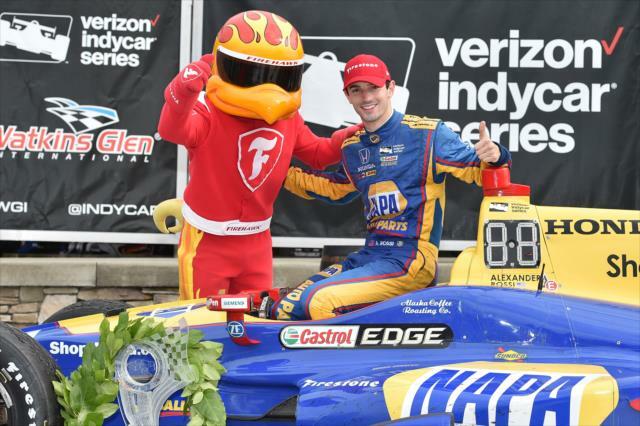 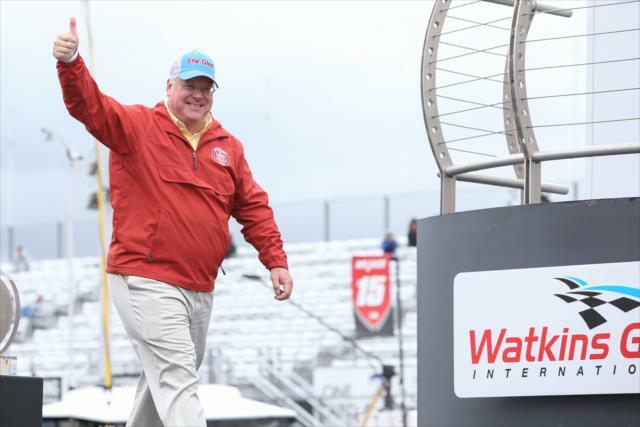 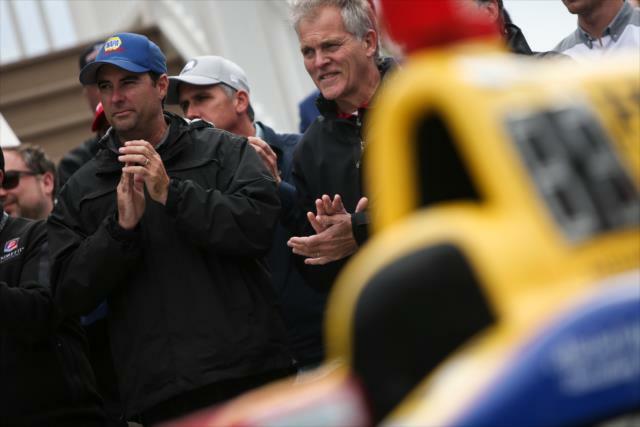 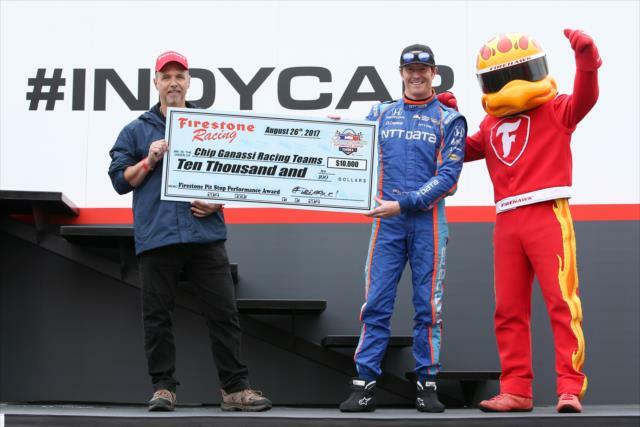 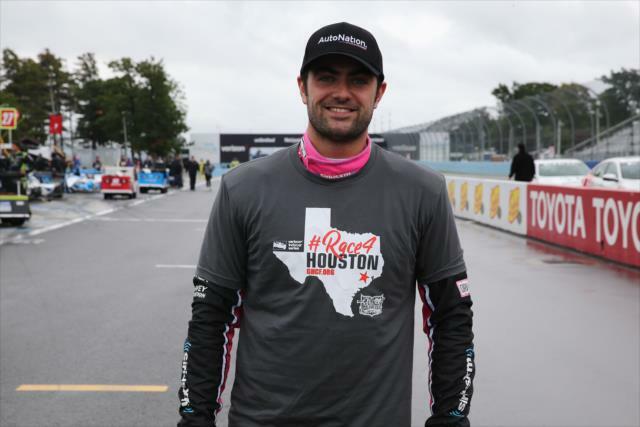 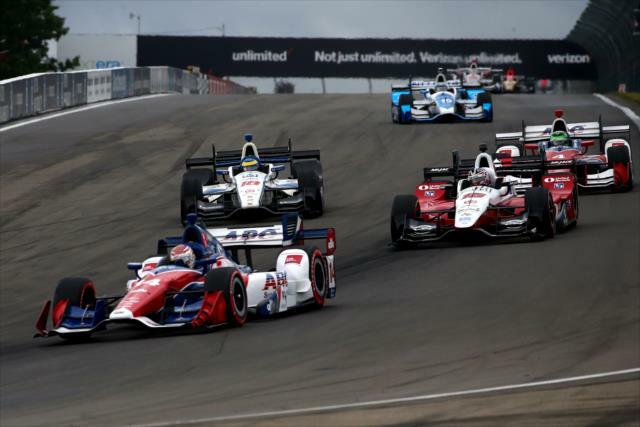 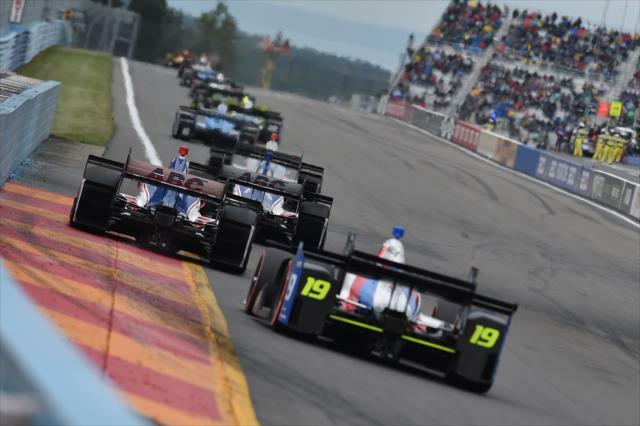 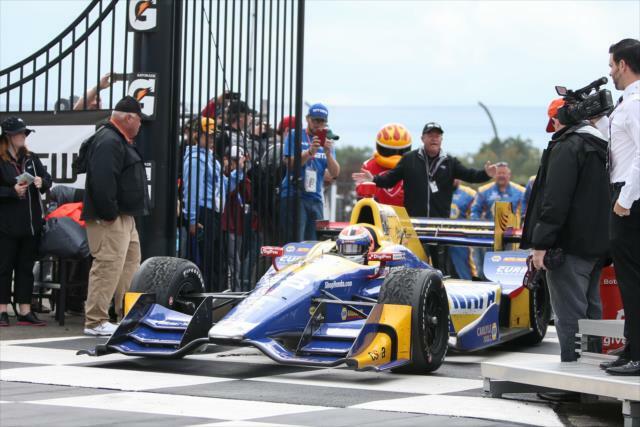 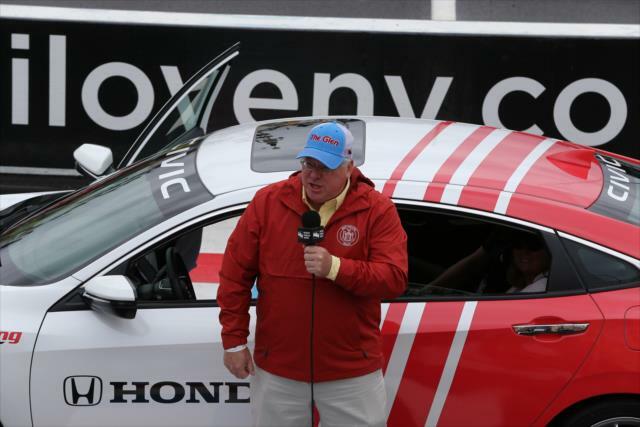 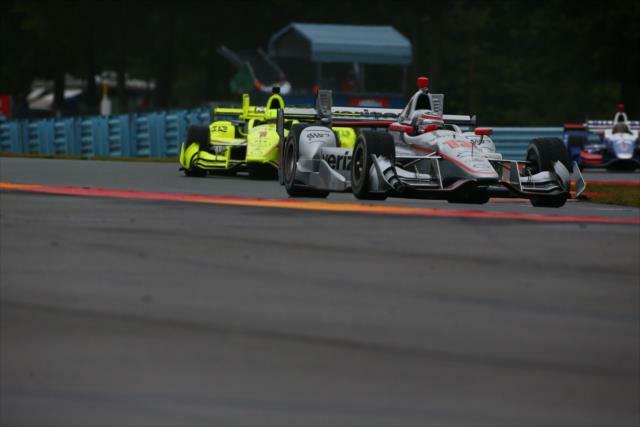 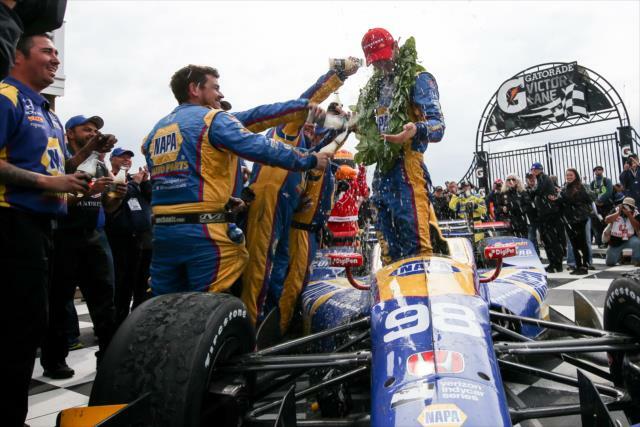 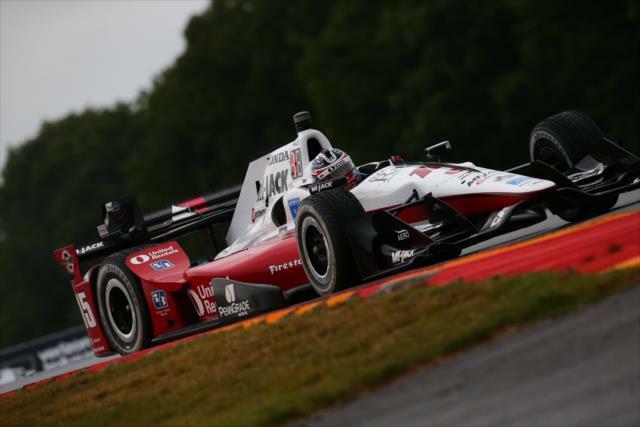 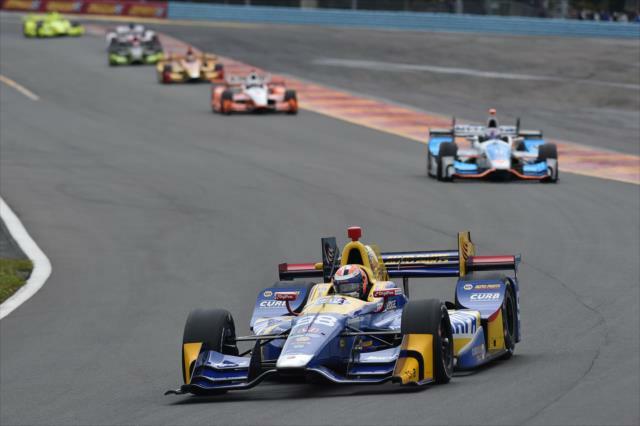 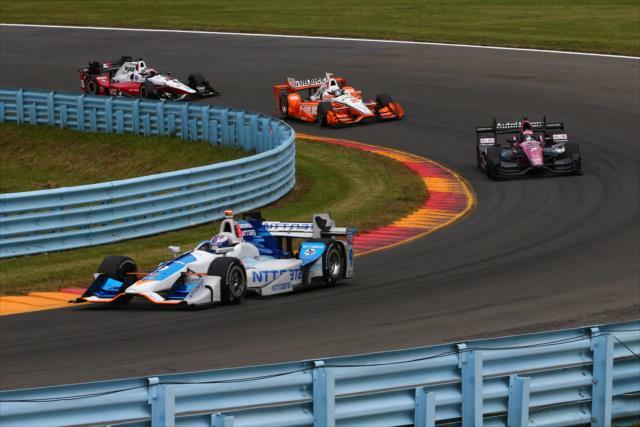 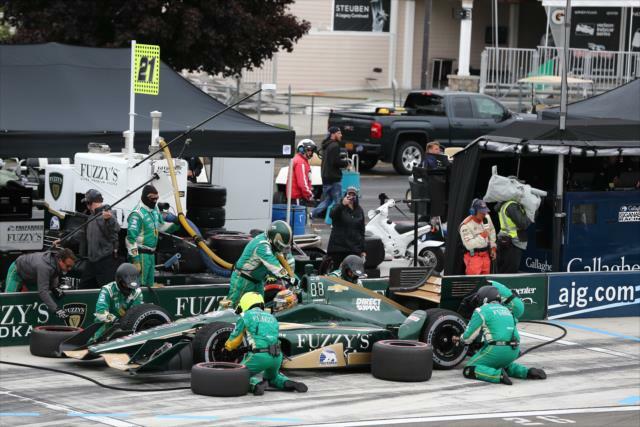 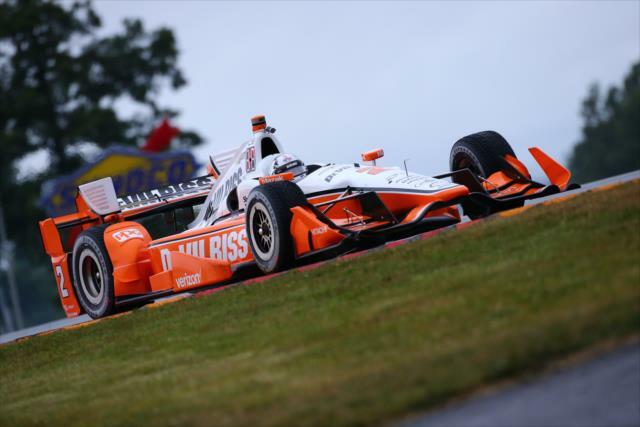 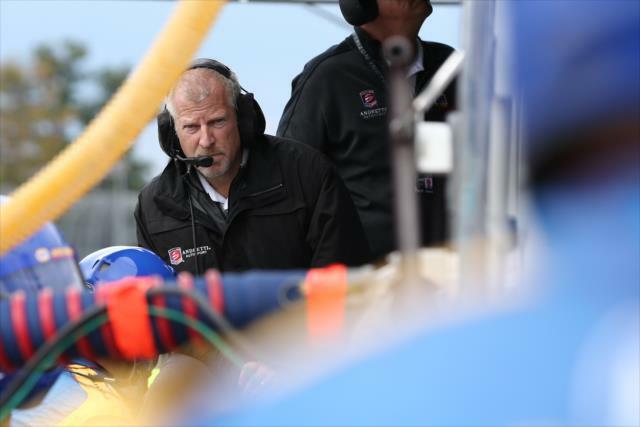 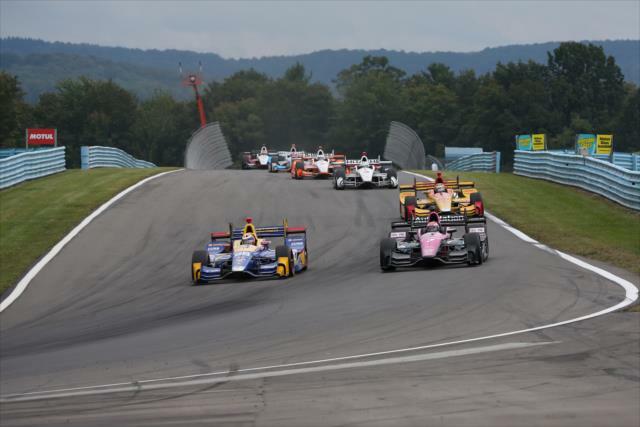 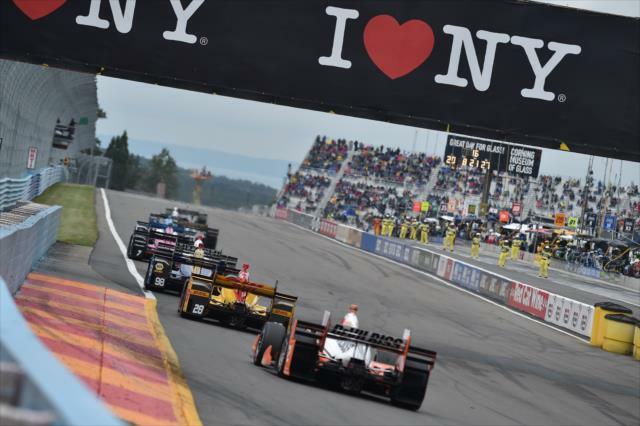 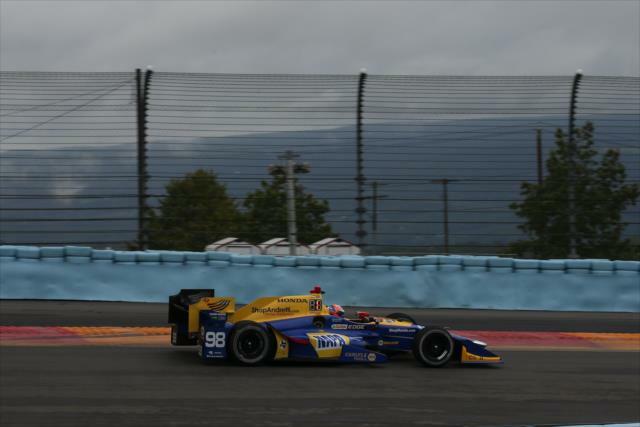 WATKINS GLEN, New York – Alexander Rossi completed a dream weekend at the INDYCAR Grand Prix at The Glen, as the Verizon IndyCar Series championship competition took a dramatic turn with but one race remaining on the schedule. 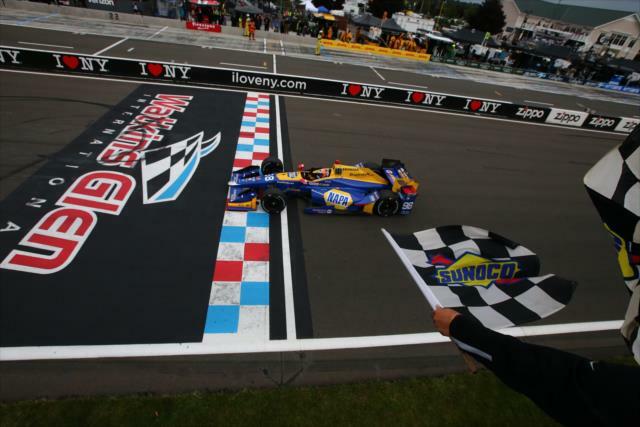 Rossi won the 60-lap race at Watkins Glen International from the pole, leading a race-high 32 laps. 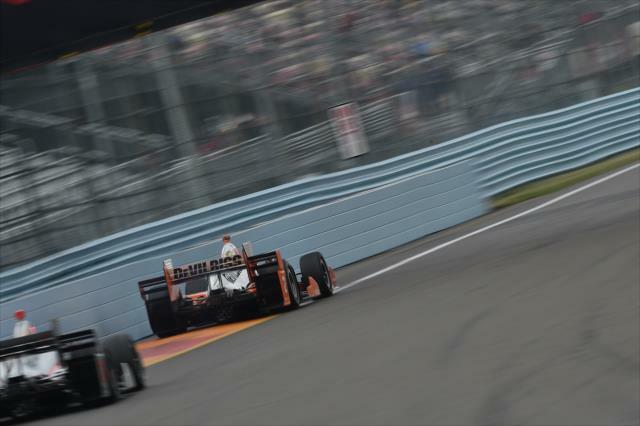 The driver of the No. 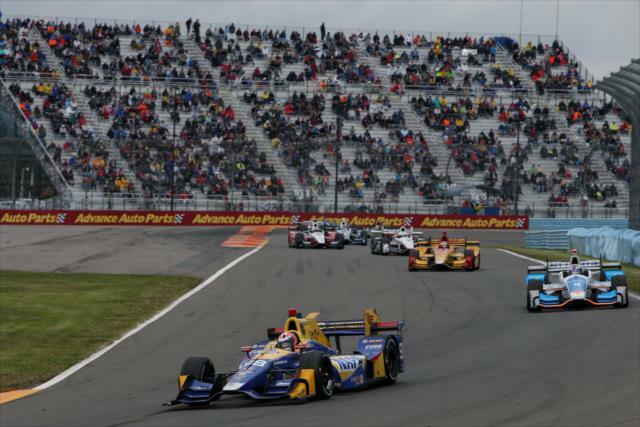 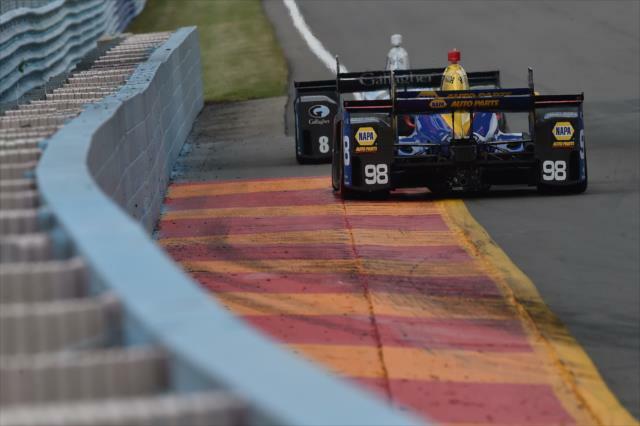 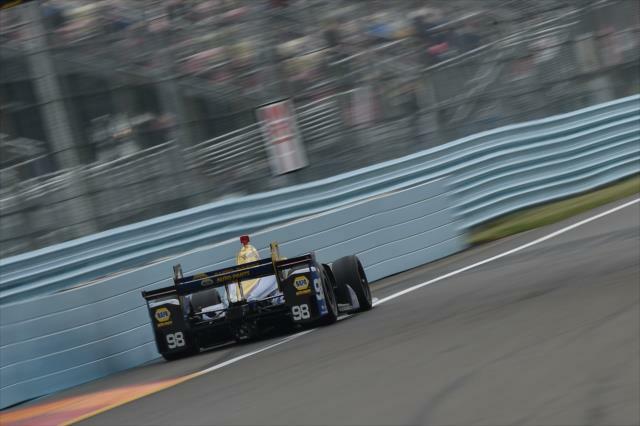 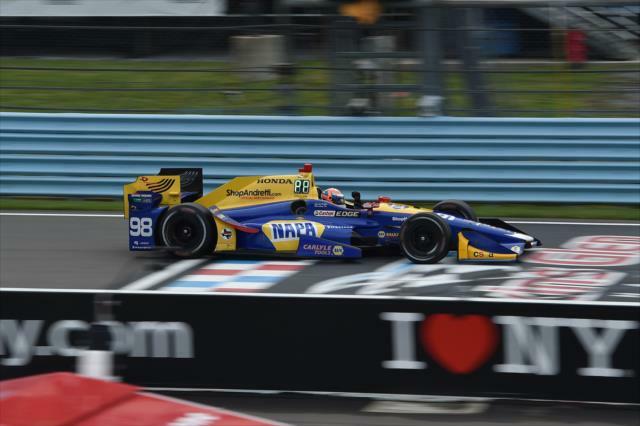 98 NAPA Auto Parts/Curb Honda held off four-time Watkins Glen winner Scott Dixon by 0.9514 of a second at the finish. 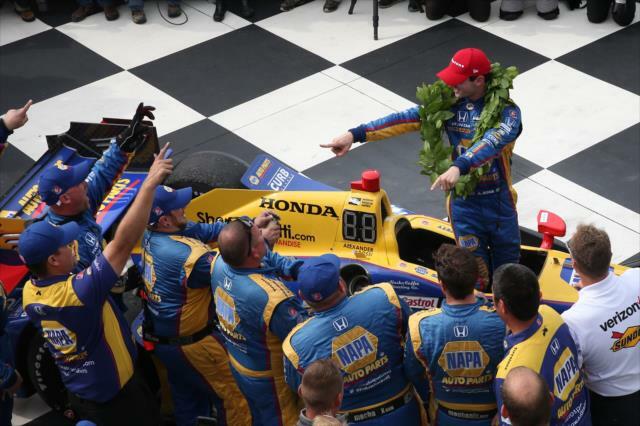 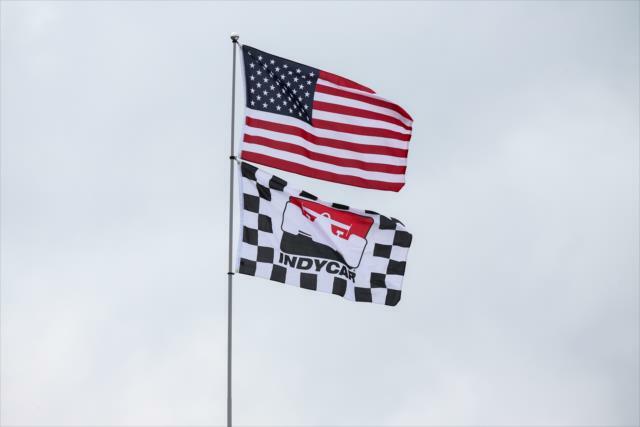 The victory is the second for Rossi in the Verizon IndyCar Series and first since his memorable triumph in the 2016 Indianapolis 500 presented by PennGrade Motor Oil. 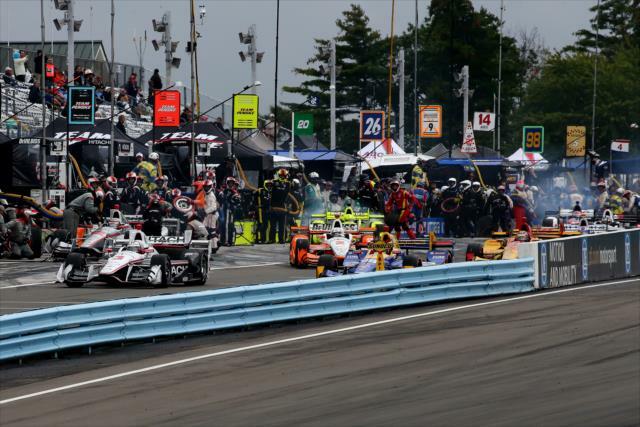 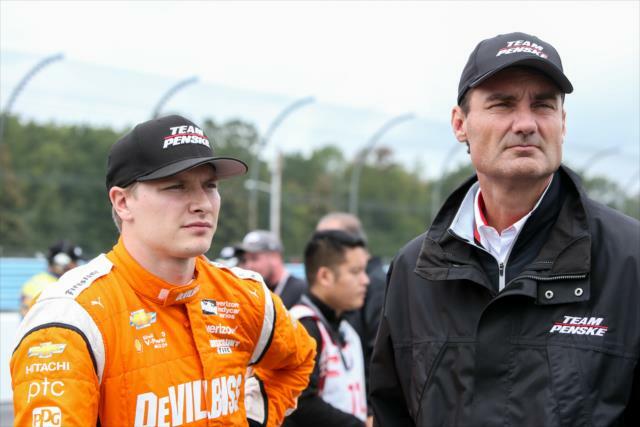 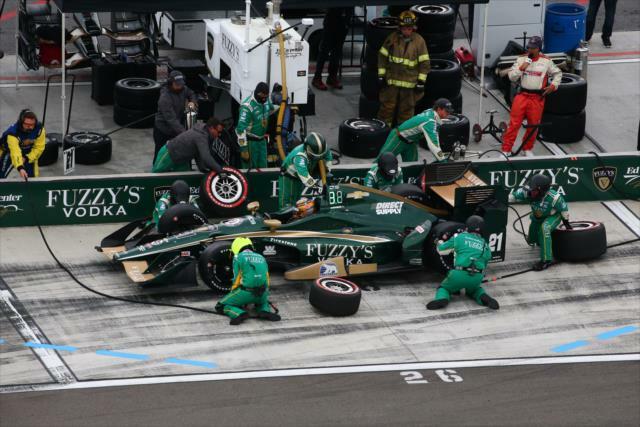 Meanwhile, championship leader Josef Newgarden finished 18th after sustaining car damage in a collision leaving the pits and saw his unofficial points lead slip to three points over Dixon. 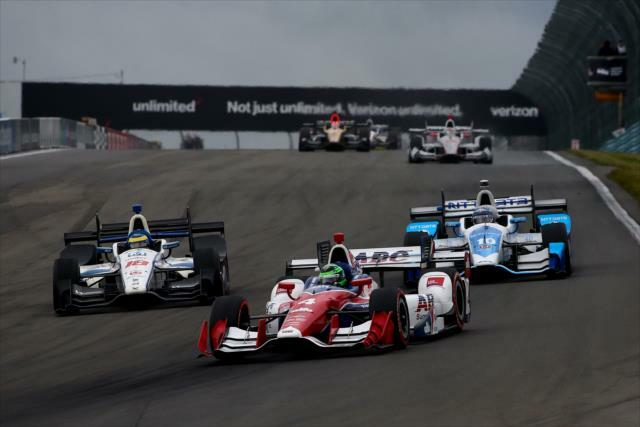 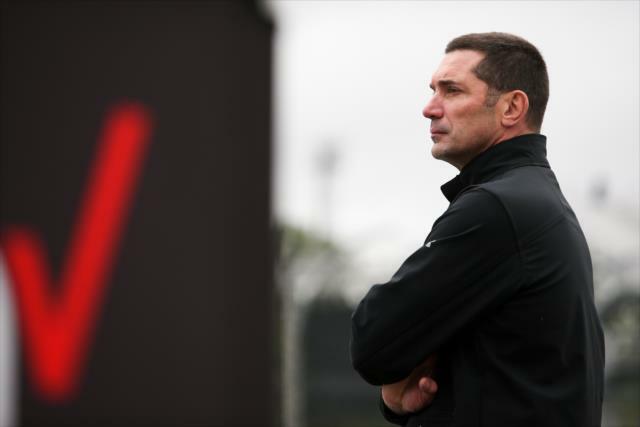 The season finale, the GoPro Grand Prix of Sonoma, lies ahead on Sept. 17 and offers double race points with seven drivers still mathematically alive in the title hunt. 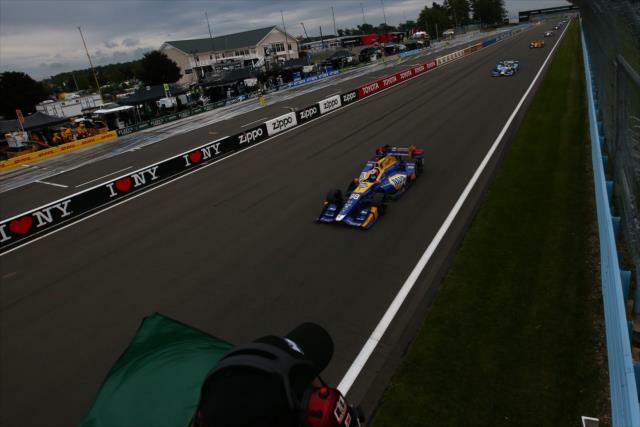 Rossi overcame a malfunctioning fuel probe on his first pit stop that forced him to make an earlier second stop than scheduled. 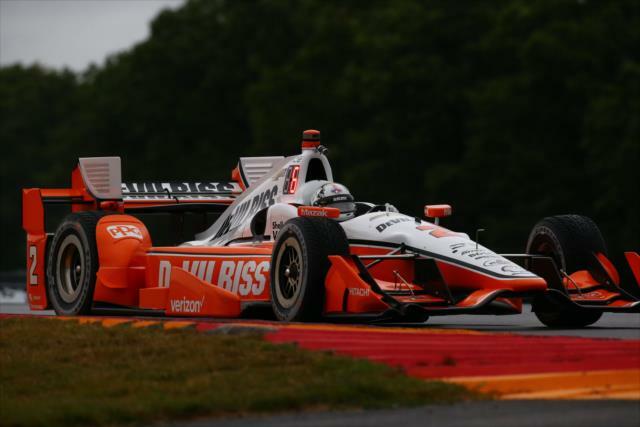 From there, the 25-year-old Californian laid down laps at nearly qualifying pace, regaining the lead on Lap 29 and building an advantage of more than 12 seconds. 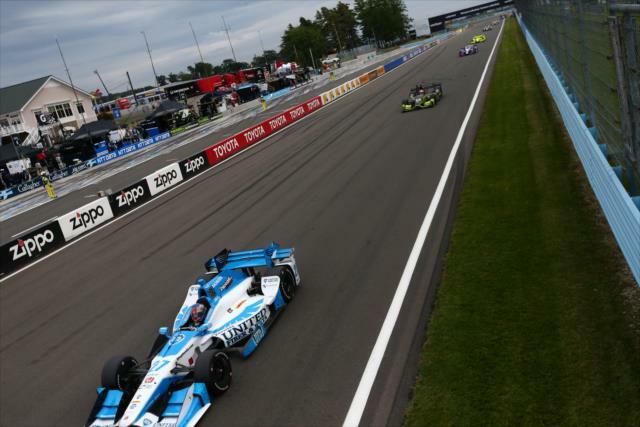 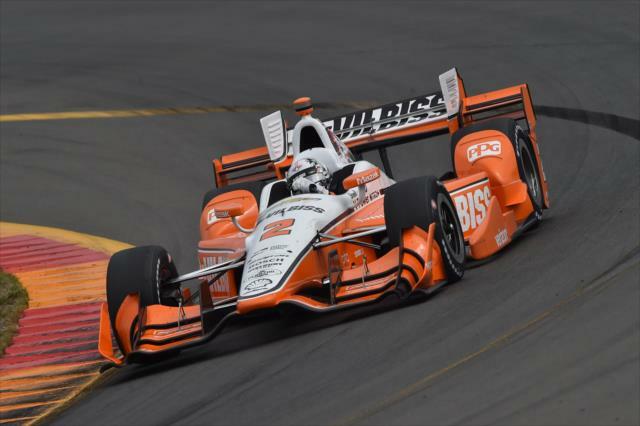 During the final round of stops under green-flag conditions, Newgarden had just assumed the lead in the No. 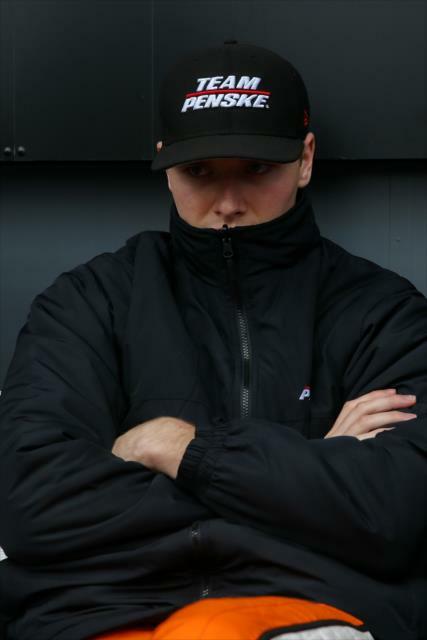 2 DeVilbiss Team Penske Chevrolet when he made his final stop on Lap 45. 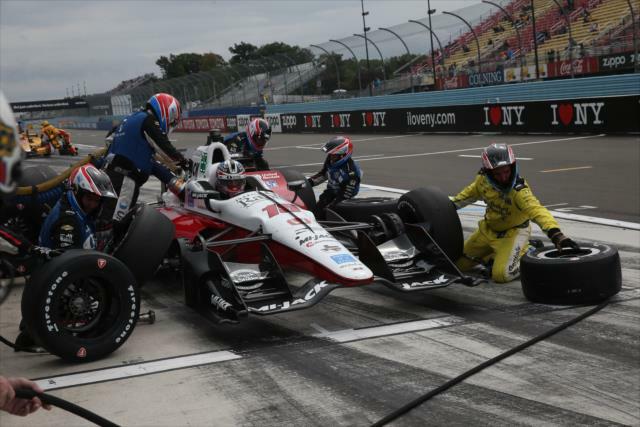 Will Power – whose pit stall was directly in front of Newgarden’s – barely beat his teammate out of the pits and into the narrow, curving, downhill pit exit lane. 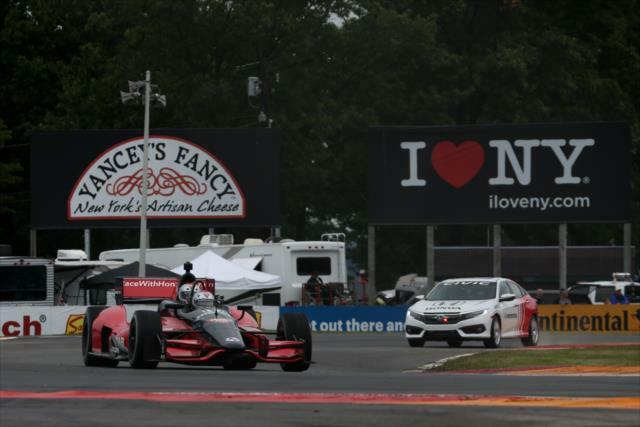 Newgarden locked his brakes avoiding Power and slid into the guardrail separating the pit exit from the track in Turn 1 of the 3.37-mile permanent road course. 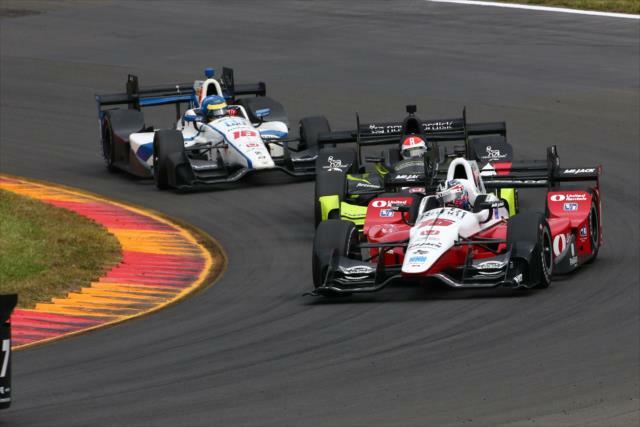 Sebastien Bourdais, also leaving the pits, had nowhere to go and hit Newgarden from behind. 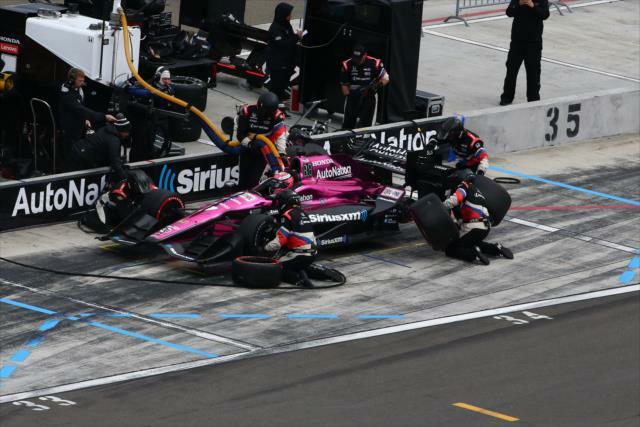 Newgarden continued but sustained front wing and right rear tire ramp damage. 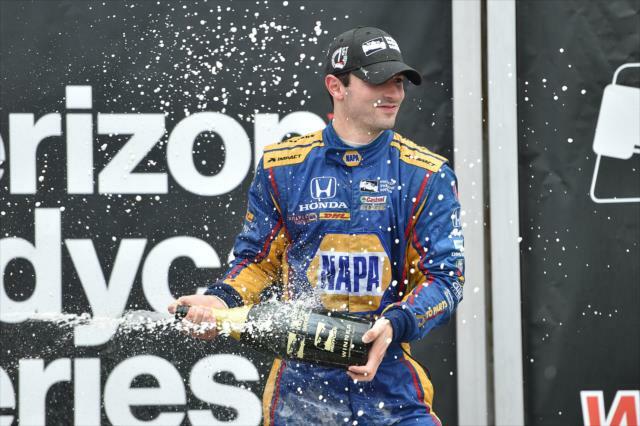 The 26-year-old Tennessean finished two laps off the pace. 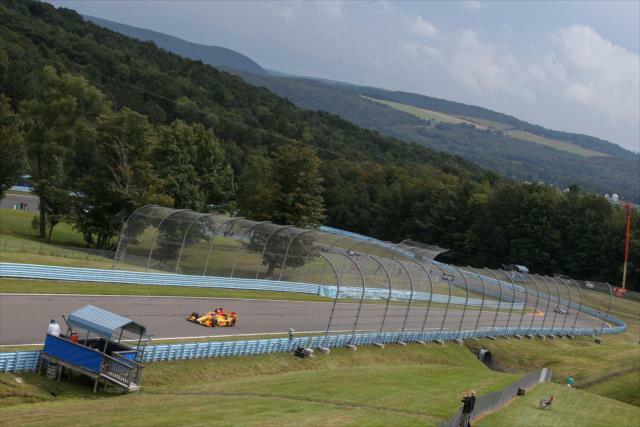 Ryan Hunter-Reay finished third in the No. 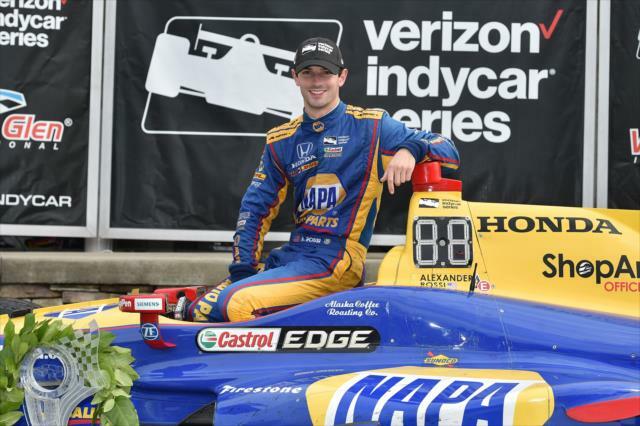 28 DHL Honda to give Andretti Autosport two podium finishers. 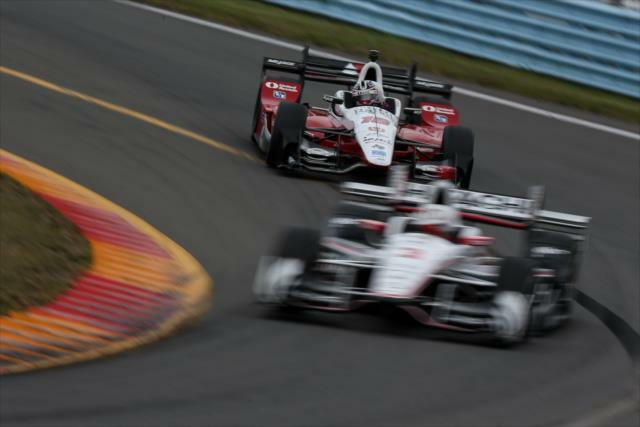 Helio Castroneves placed fourth in the No. 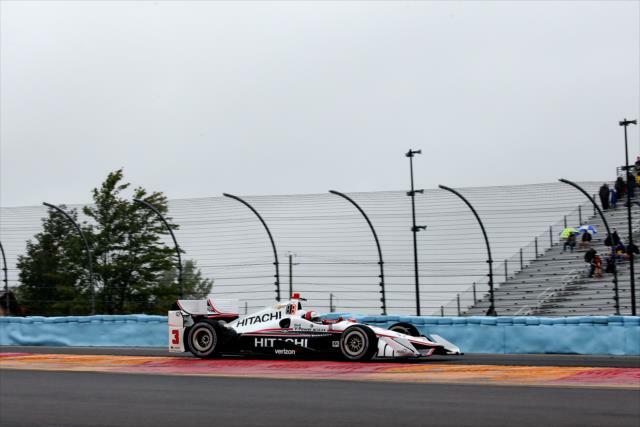 3 Hitachi Team Penske Chevrolet and retained third in the championship, 22 points behind Newgarden. 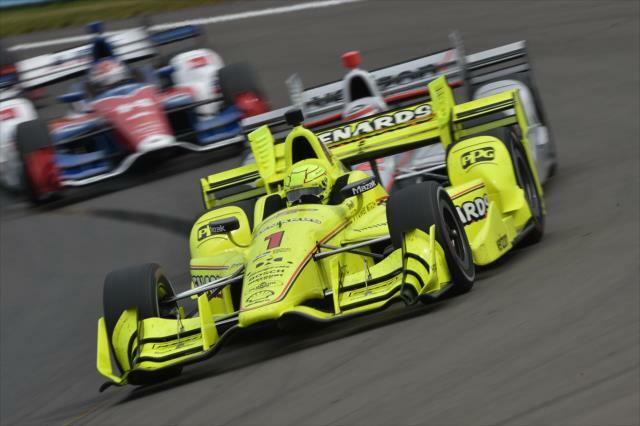 Other drivers still with hopes of winning the title are: 2016 champion Simon Pagenaud, fourth in the standings (-34 points from first) after a ninth-place finish today; Power, fifth in the standings (-68 points) after finishing sixth in the race; Rossi, sixth in the standings (-84 points); and Graham Rahal, seventh in the standings (-94 points) after a fifth-place race finish. 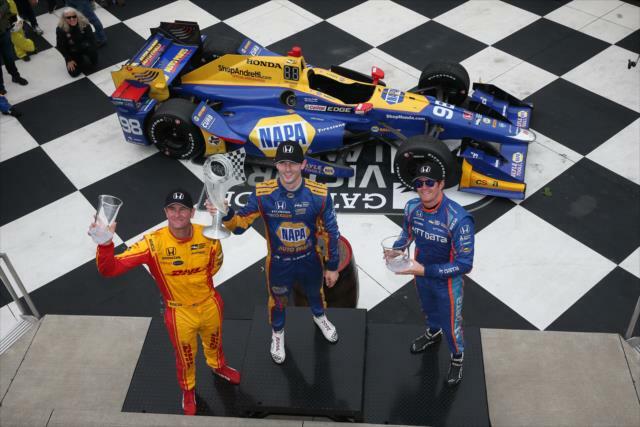 The race at Sonoma Raceway offers 100 points to the winner, 80 for second place, 70 for third and down from there. 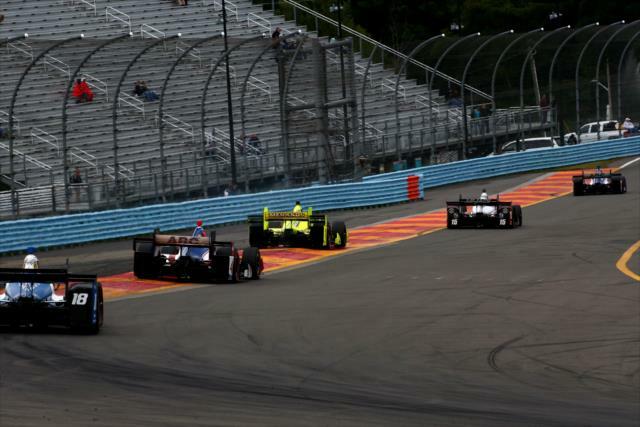 Live race coverage of the epic finale begins at 6:30 p.m. 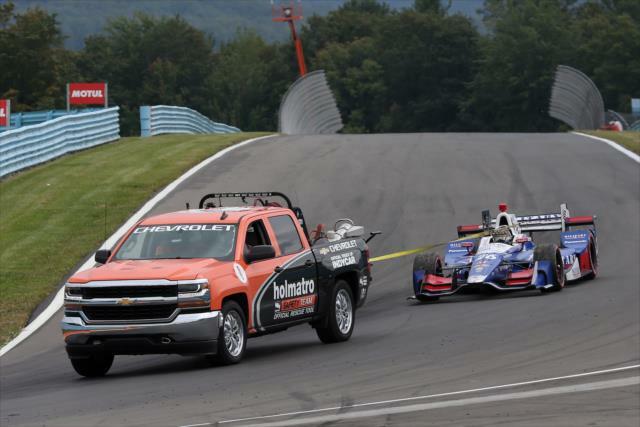 ET Sept. 17 on NBCSN and the Advance Auto Parts INDYCAR Radio Network. 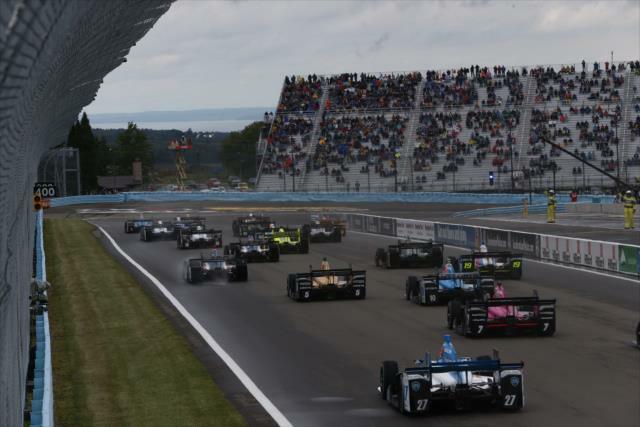 When Formula One visited Watkins Glen in 1961 for the first Watkins Glen U.S. Grand Prix, it was the beginning of what would become a tradition at the circuit through 1980. 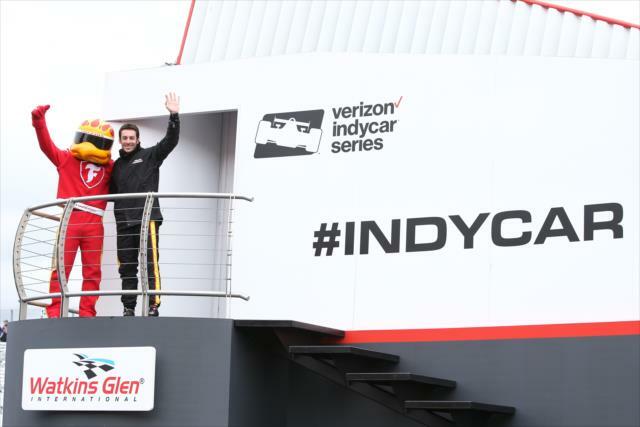 Innes Ireland won the inaugural running, with drivers such as Jim Clark, Graham Hill, Jackie Stewart, Niki Lauda, Emerson Fittipaldi and James Hunt among the winners of the grand prix. 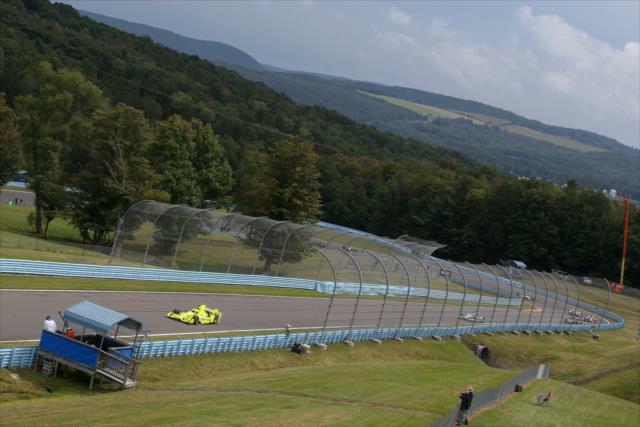 In 2004, the Verizon IndyCar Series announced that it would compete on the historic 3.4-mile, 11-turn long course at Watkins Glen International on Sept. 25, 2005. 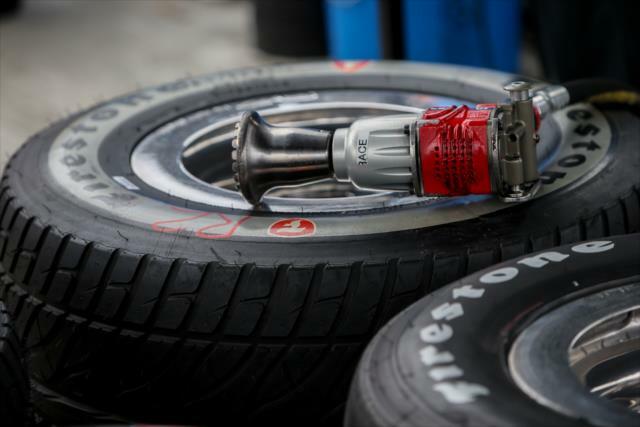 The circuit included "the boot," which is part of the traditional grand prix circuit. 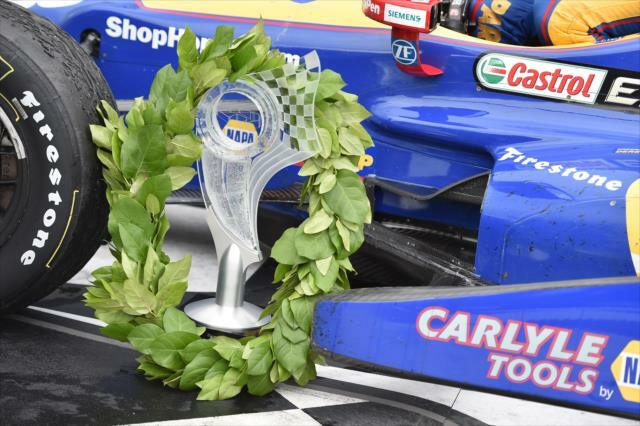 Scott Dixon won the first Verizon IndyCar Series event at the track – the first of three straight wins at the track for the Target Chip Ganassi Racing driver – and donated his laurel wreath from Victory Lane to nearby Seneca Lodge to hang among the wreaths of the previous race winners at Watkins Glen, a tradition that dates to the United States Grand Prix Formula One event. 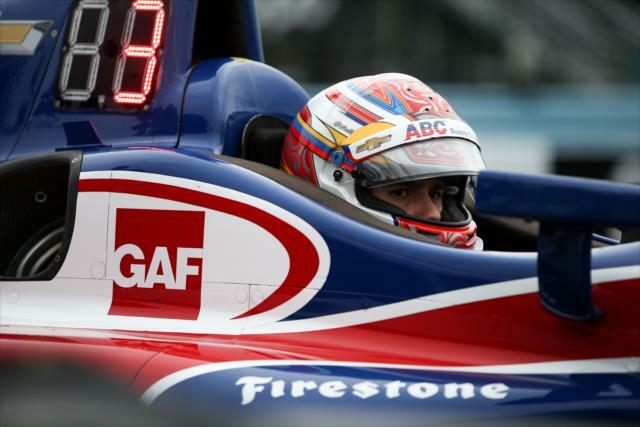 Justin Wilson claimed the first-ever win for Dale Coyne Racing at the track, when he won the race in 2009.